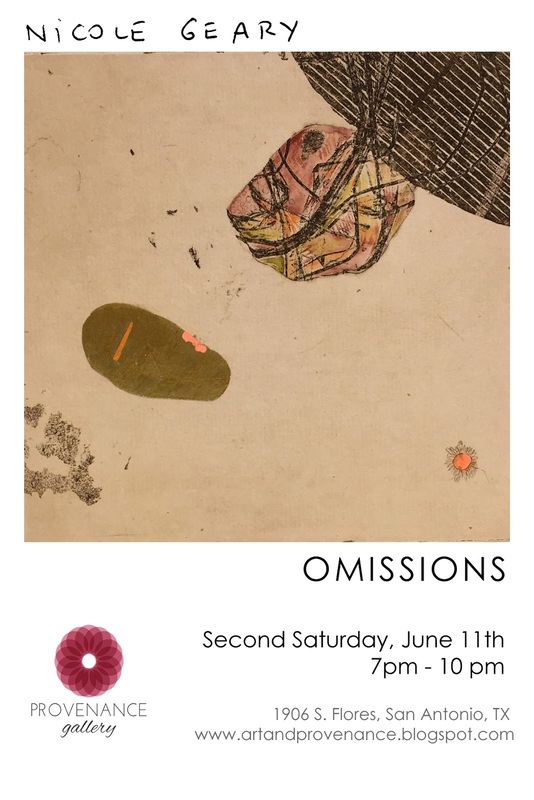 Provenance Gallery is pleased to present Omissions, new work by Nicole Geary. Nicole Geary is an American artist hailing from the green, swampy lands of Florida, where she earned a BFA in printmaking from the University of Florida. She graduated with an MFA in printmaking from the University of South Dakota in 2013. She exhibits in juried print and sculpture shows, international residencies, and regularly participates in printmaking conferences. Geary teaches at the Southwest School of Art and St. Philips College, was a resident in the Artist Lab at the Guadalupe Cultural Arts Center, and has been awarded a grant from the Artist Foundation of San Antonio. She exhibits nationally and internationally. Geary lives and works in San Antonio, Texas.